This afternoon, Sean and I set off for the 150-mile return trip to Ventura. 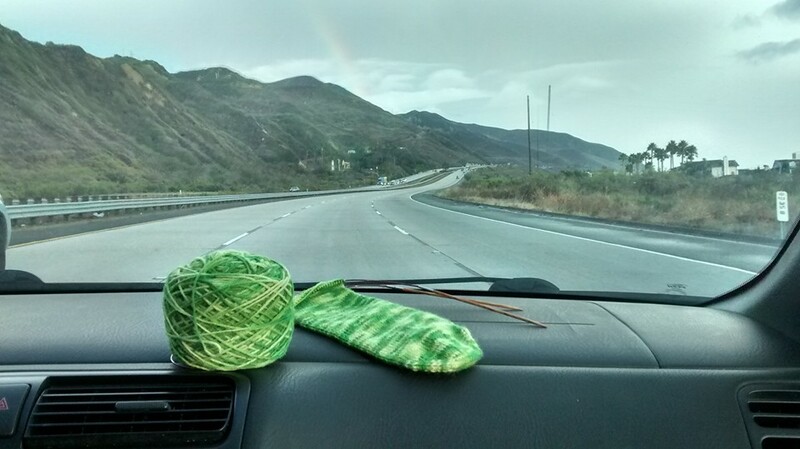 I brought the second Green Print sock with me and knitted while Sean drove. 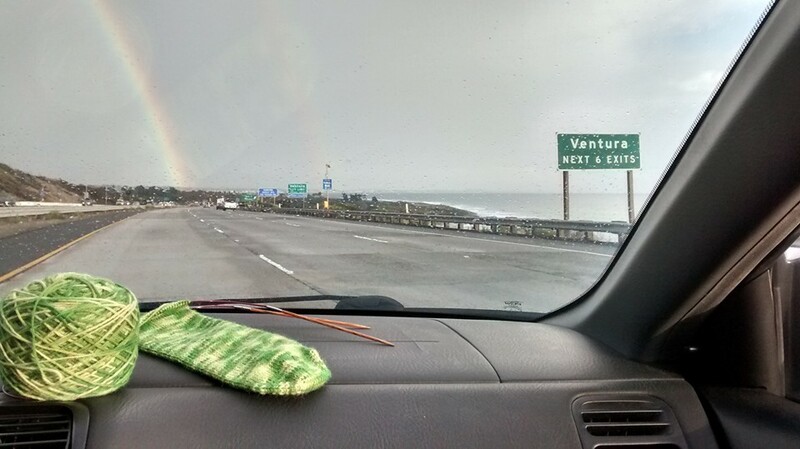 When we got to Buellton (around 70 miles into the drive), I noticed a rainbow in the distance. 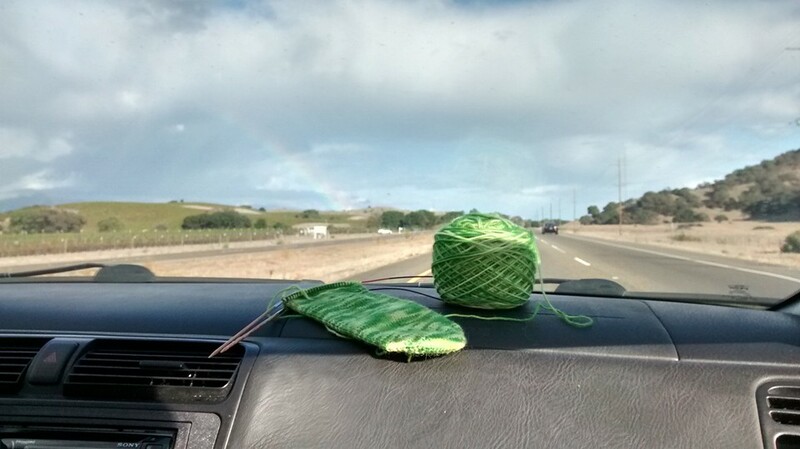 I kept knitting and Sean kept driving. We talked and listened to punk rock and sang along with a few of the songs. I wasn’t paying a lot of attention to the road until we got closer to Ventura. That’s when I noticed the rainbow again. It was a really nice way to end the drive. 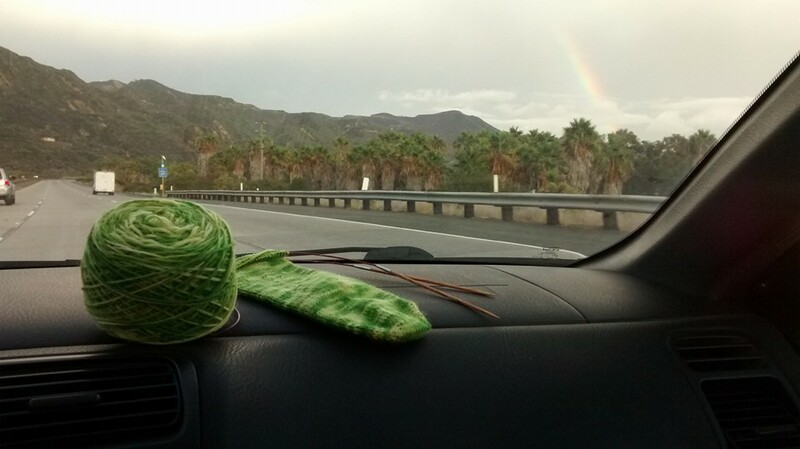 Categories: Handmade | Tags: knitting, rainbows, socks, Ventura | Permalink.